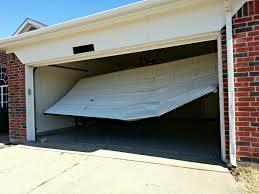 For all your garage door repair needs, we can take care of them all! Did your day get ruined due to your garage door not working like it should? If so, then it’s time to get it repaired now! Sit back and relax, even on holidays, as we are here to help you with your garage door. Whether you want to replace your garage door, repair broken garage door springs, or replace garage door openers, simply trust us. We will repair it efficiently. Being a leader in this field, we are committed to offering you a variety of repair services for any emergency related to your garage door. In case of emergencies, just give us a call and our technicians will be there in no time to provide you a solution to your garage door problems. Our team of well-trained technicians has the expertise and knowledge and are capable of providing you with the best quality repair services. We provide our customers with the best options for your budget and can get your garage door repaired without spending a fortune. In most cases, we can schedule a same day service to resolve your problem immediately. Give us a call today at 972-242-4106 and we will be there to help you.